Release Day is Here for Ravens and Writing Desks! 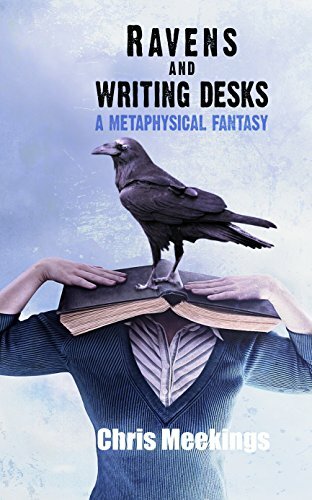 Release Day is here for Ravens and Writing Desks: A Metaphysical Fantasy by Chris Meekings! Books are available in print and ebook. "The best test is always a quest." On her way home from school, Thirteen-year-old Lucy Gayle meets a wizard who coerces her to undertake a mysterious quest to save magic. As she travels through a strangely familiar storybook landscape she uncovers clues that lead her to question whether the worlds she travels are reality, a hallucination or the creation of an unknown author. To find the answer, Lucy must pass three trials – one of courage, one of compassion and one of logic. Only then she can finally choose what it is she believes.